First Lady Gertrude Mutharika has emphasized the need for all women in the country to under go cervical cancer screening as a precaution to ensure that they are free from the disease and attain early treatment. 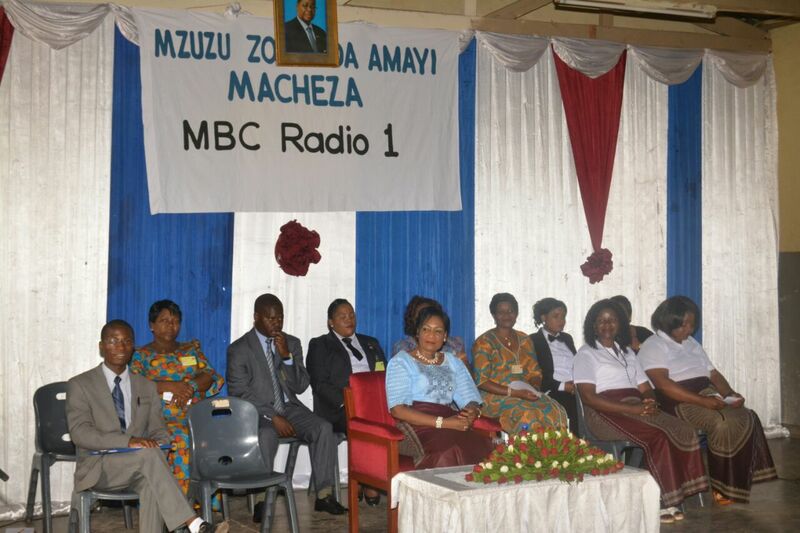 Speaking during Malawi Broadcasting Corporation’s Zokonda Amayi Macheza programme in Mzuzu on Saturday, she said women will lose nothing by going for cervical cancer screening as compared to the dangers of just staying without knowing if they have traces of cancer or not. “Most women, who died of cervical cancer before, did so because they did not know about it in time and went to the hospital when it was already too late. We cannot just stand and watch our women die when this cancer can be prevented and better still treated if they go for screening in time,” she said. Her words of encouragement came after Chief Executive Officer for Kuwala Health Media Doctor, Solomon Chomba had briefed the women of Zokonda Amayi Northern Region Chapter on the signs and symptoms of cervical cancer, benefits of early screening as well as dangers of delayed cervical cancer treatment. The First Lady, who has been championing the fight against cervical cancer and the spread of HIV, said that it was high time women in the country took issues of their own health seriously. Mutharika urged the women to continue working in unity as that is the only way they would progress as a group. She then donated K500, 000.00 for the women to top up their various group savings accounts. Regional Controller of MBC in the north, Chimbizga Msimuko expressed gratitude to the First Lady for her continued support in ensuring tremendous success of Zokonda Amayi programme.